Chris Vinnicombe: “I’d always been a fan of Dennis Fano’s designs, but it only took a few moments with the Serus T to realise that the Pennsylvania-based luthier has raised his game to a new level. Initially, I was struck by the remarkable acoustic volume and resonance of this solidbody, which Fano has achieved through the use of tempered red pine. Fano explained: ‘Tempering is a highly scientific drying process that the wood undergoes to make it lighter, stiffer and more stable than the industry-standard kiln-dried wood. The neck is glorious: its profile is like a slightly fuller version of Fender’s transition-era neck shape, and the compound fingerboard radius helps ensure that playability is easy all over the fretboard. Simon Bradley: “Whenever I turn my creaking memory to choosing a product for a Gear Of The Year rundown, I’m reminded just how excitingly diverse the modern choice of guitar gear is. 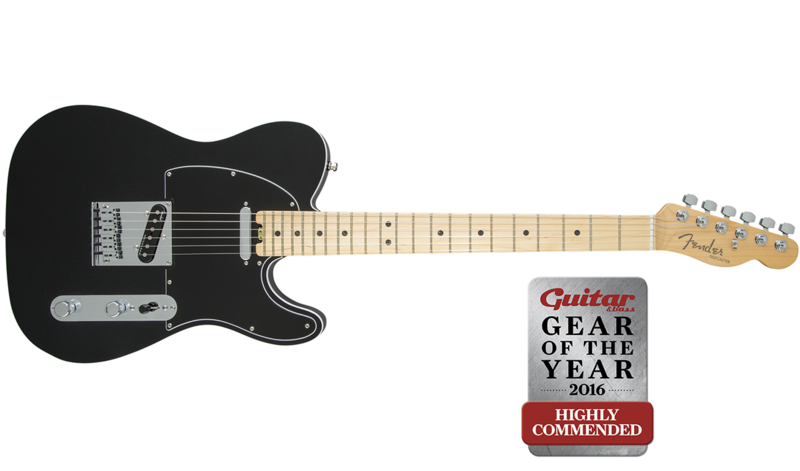 G&B has reviewed some great stuff this year and, while I loved the Godin Session and still regularly play around with the TC Electronic Ditto x4, my pick of 2016 is the Fender American Elite Series Telecaster, a modern polishing of an unquestionable classic. 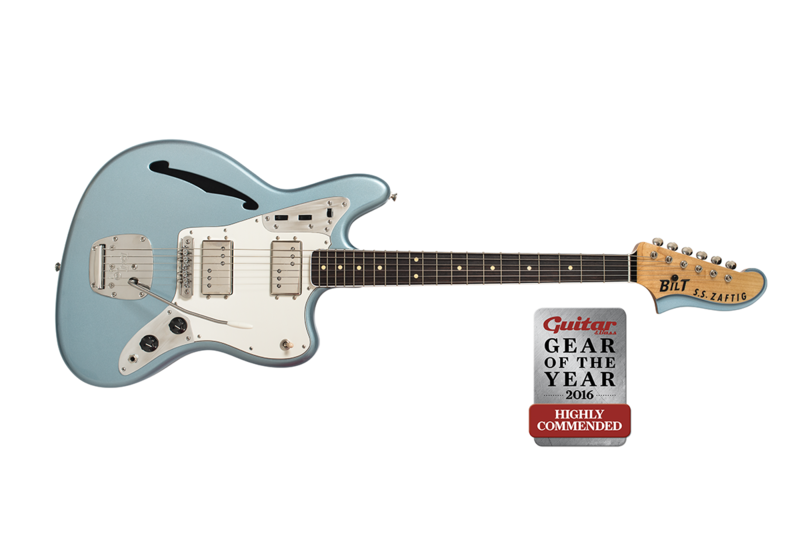 Setting aside the outstanding playability and the merits of the numerous salient refinements Fender introduced across the entire Elite series, it was the guitar’s contrasting tones that really pushed my buttons. Combining the superb new pickups in series via the S-1 switching system allows proceedings to veer from a classic Country twang to a uniquely fulsome roar in a drumbeat, making this a Tele you could conceivably wield for any gig. The two Elite Strats we also looked at were pretty special, too, but there’s nothing cooler than a truly great Tele, and the recollection of the gorgeous Mystic Black finish of our review example still triggers the occasional wistful sigh. 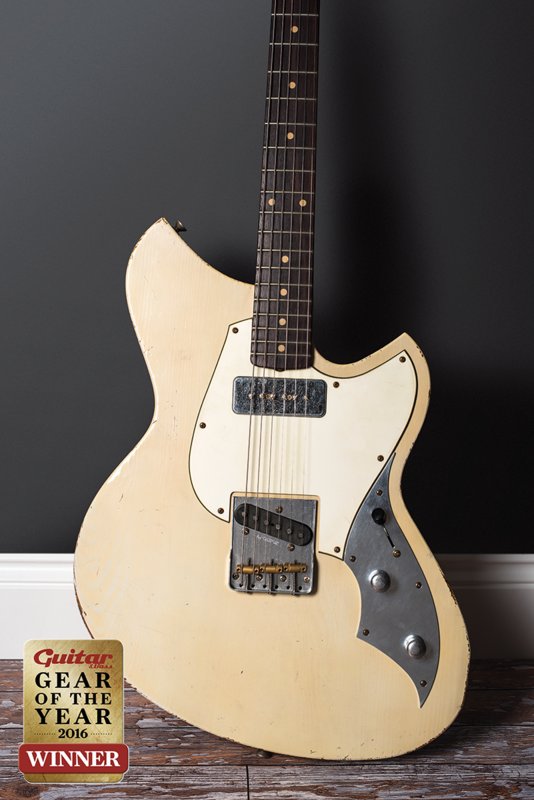 He may have left the company that bears his name, but Dennis Fano’s earlier designs are still being manufactured in Scottsdale, Arizona by Premier Builders Guild in a workshop headed up by Jack Schwarz, a Fender veteran of more than 30 years. 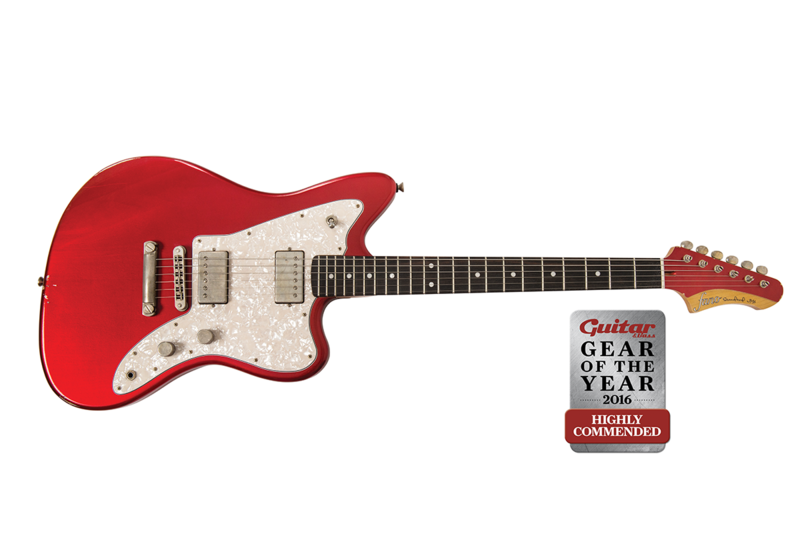 The Standard series delivers a more affordable Fano than the customisable Alt de Facto range, but the JM6 doesn’t feel like a compromise: it sounds and looks great, and playability is infectious. 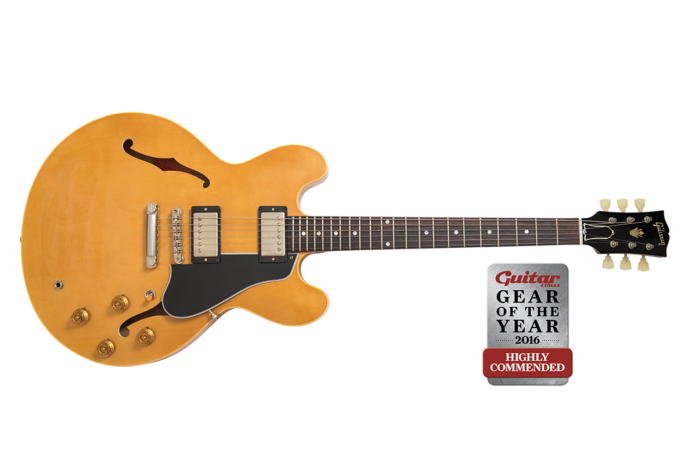 1958 was also the year of the sunburst Les Paul, the Flying V and the Explorer, but Gibson’s thinline archtop was arguably its greatest achievement. This reissue winds the clock back to the earliest ES-335 models with unbound fingerboards, and the chunky neck feels more like a Les Paul Junior. There’s something very rock ’n’ roll about the stripped-down, student guitar feel combined with the white-knuckle ride of a big semi and we can’t get enough of it. They Bilt this pretty for rock ’n’ roll and no mistake. Borrowing heavily from the Fender Marauder, Starcaster and Jaguar to create a kind of ‘guitar that might have been, but never was’, the Des Moines, Iowa company owned by Bill Henss and Tim Thelen has put together a highly-evolved offset with excellent sounds, courtesy of Lollar Regal pickups, and a trouble-free playing experience thanks in no small part to the smooth and stable Mastery bridge and vibrato.